We believe Craftsmanship is the only approach to work, the goals set for execution, and the scope of being able to look at work accomplished, whether it is the buffed sheen of granite, the perfectly crafted beveled edge, custom built cabinets, or customer service matched by none. Focusing on these things allows us to be proud of the finished product. We maintain a high standard of quality in the work throughout our process, always endeavoring to be efficient, without the use of shortcuts that affect the quality of the finished job. It is suggested, standards can become harder to maintain as a business grows, and the standards of a craftsman and a business can conflict. But can they? Quality work starts with quality materials. We use only the highest of quality material on the market. These importers only source from the finest quarries in the world. Granite and Marble slabs from Brazil, Italy, Canada, and The United States of America. Our Quartz comes from the top manufacturers in the world. Companies like Silestone, Cambria, DuPont, and Cosmos supply all of our engineered stone slabs. Utilizing the top producers and quarries of the world ensure that our customers always receive the best product offered. When it comes to the essence of craftsmanship, we definitely go straight to the fabrication process. This is where our journey down the path of true craftsmanship. Our fabrication team starts with the quality product and knowledge from years of experience. Our team takes the standard of quality and doubles them. 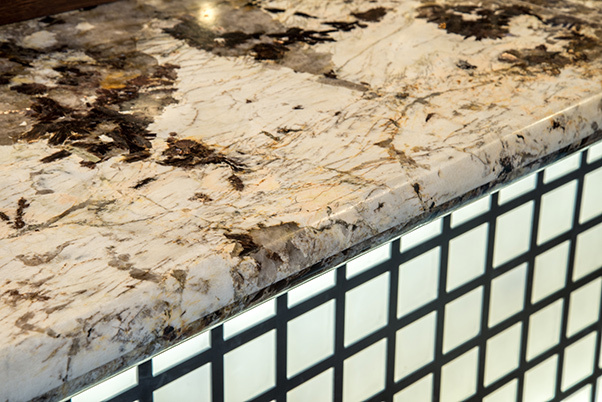 We put the utmost attention detail and care into fabricating the perfect countertop. We take quality as a top priority because we want to deliver the kitchen of your dreams into reality. All natural stones have some amount of porous nature. Some are more highly porous than others. One of the more porous materials is Marble and this stone is easily stained and etched. The lighter the material the more susceptible it is to these damages. Homeowners have always valued Marble for its beauty and sophistication. However, Marble's natural softness and porous surface lead to annual seal treatments, more cleaning time, and easier to damage. It’s a tough stone to keep pristine. When you choose Granite you gain some relief. 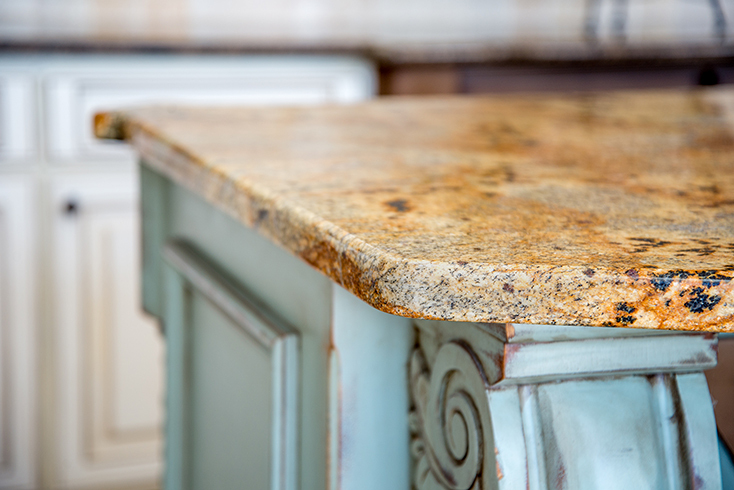 Granite countertops are not as porous as Marble, so liquids do not soak in as fast, leading to staining and etching. When using Granite you have a much smaller chance of chipping or denting your surface versus Marble. We offer a 25-year sealer that covers staining in your stone. Granite has many qualities. This is why it is one of the most used natural stone materials in kitchen design. 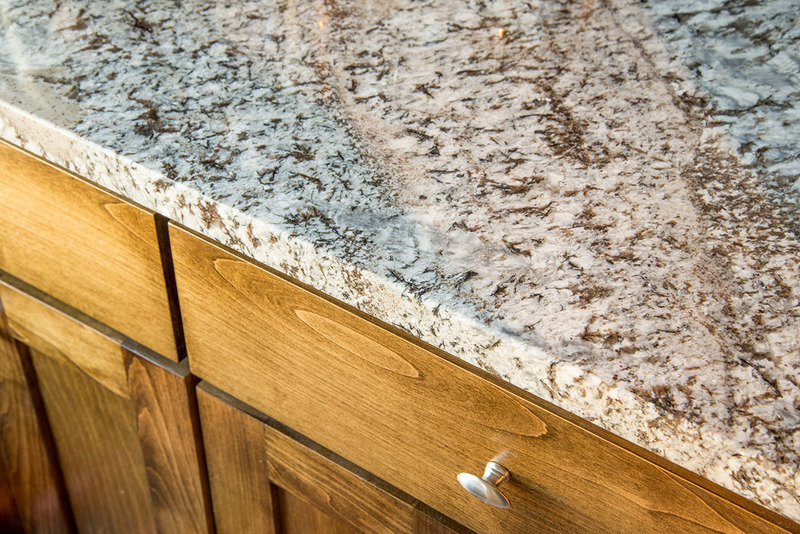 Granite adds value, durability, and visual sophistication to your kitchen. Creating a room that will work for you and your family's needs. If your desires for a modern, contemporary, or even an eclectic style, there are tons of granite stone colors available to choose from. It’s everyone’s favorite kitchen countertop stone! The color spectrum of Granite ranges infinitely. Through the natural formation of the material produces beautiful unique patterns that will never be replicated. Each slab is as unique as each of us on Earth. Ranging from neutrals to vibrant surreal patterns and colors. 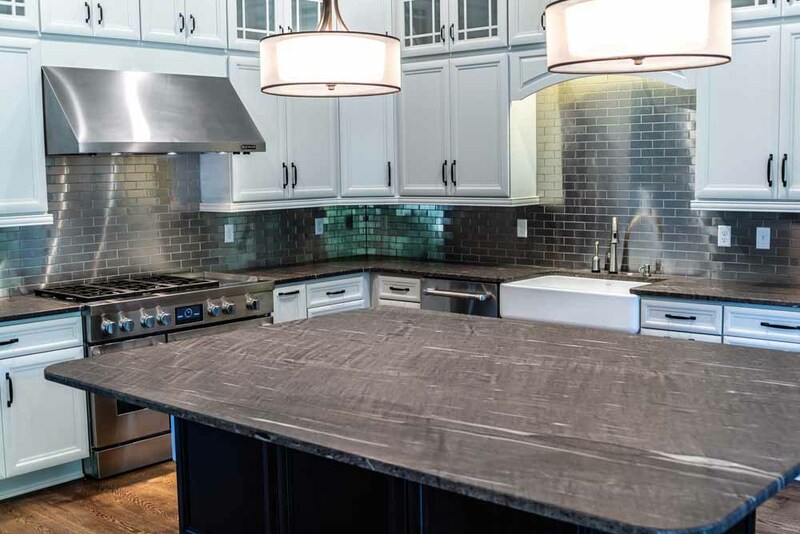 There is a Granite to match every kitchen design motif. We have access to thousands of slabs at our fingertips. If you have any questions or are ready to start the remodeling process, we are here to assist you on the road for your dream kitchen. Our team with its decades of experience in the field will be a wealth of information and ensure a smooth process from beginning to end.